Hugh Jackman returns for his allegedly last and most sentimental turn as the titular mutant character in the stripped down, revisionist Logan, partially inspired by the Old Man Logan comic book storyline. The Wolverine director James Mangold returns to make the film a far more gritty, violent, and very western genre feeling affair (think Shane). Most of the film's charm ironically comes from a sombre, deadly serious (and slight dystopian) tone and the fact that it just barely exists as an X-Men or superhero movie. Logan starts off in the near future, the year 2029 after the events of X-Men: Days of Future Past's newly reset timeline, where mutants have largely died out. A sterling Patrick Stewart is prime as ever as a much older, weary, and mentally unstable version of Professor X who Wolverine must care for. Stewart revels in being freed from having to be all-knowing or even wise as essentially the only connection to the greater X-Men universe or canon. His cranky, offbeat portrayal garners some welcome comic relief and situational comedy amidst the dark subject matter. 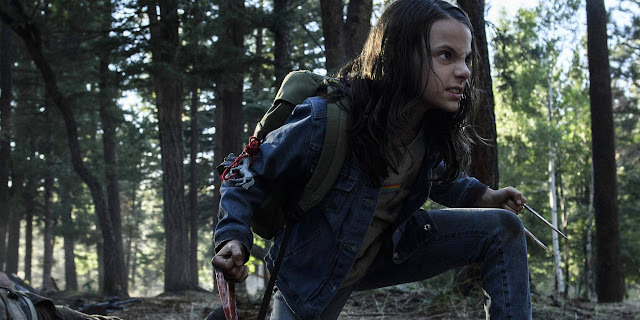 Alongside Jackman and Stewart is newcomer Dafne Keen who steals the show as Laura (aka X-23), a mutant child doppelgänger, with a mysterious connection to Wolverine and his powers. Keen's subtle, slow burn performance bursts with a quiet charisma during exhilarating acts of acrobatic violence. In opposition to them, Boyd Holbrook plays Donald Pierce, the film's main villain/antagonist, hunting our mutants in a largely thankless role, but Holbrook has plenty of fun putting on a Southern accent, flexing his robotic arm, and revelling in his dastardly ways. Mangold frames the satisfying standalone film as an on-the-run road trip movie and family drama featuring countless scenes of brutal violence. It's hard to believe nine films featuring a mutant killer with knives coming out of his hands in some capacity has only had sanitized, bloodless action thus far. 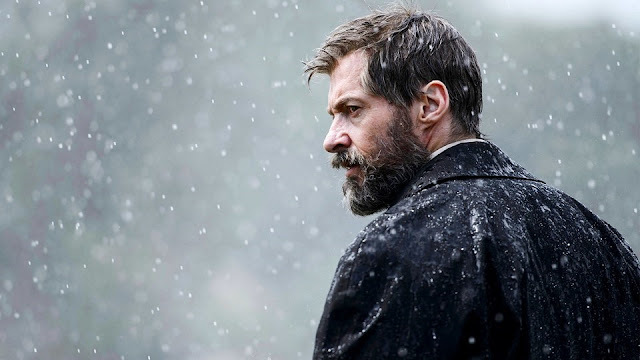 Mangold and Jackman really focus on the impact of a life of killing and pursuing an escape from it while dealing the complications of Laura's sudden appearance. Jackman is superb in his throwback portrayal of a well-worn character—the nearly immortal Wolverine has survived long enough to see everyone he loves die—he's been playing somewhat continuously for seventeen years. Like The Wolverine, Mangold shapes an interesting and unconventional exploration into the trademark X-Men character but slightly overreaches leading to an overlong rumination on loss towards the end involving a meta commentary about the nature of comic book stories. There's also a villainous reveal, a few clunky exposition devices, and deus ex machina halfway through that feels narratively jarring and undermines the otherwise sense of hyperrealism. However, the rest of the film is so unapologetically bold in establishing its own path outside of any continuity delving into some very dark but heady material. Logan more than proves to be the mature, hard R-rated Wolverine adaptation promised. Jackman and Mangold remix the X-Men mythology into a dark and violent but wholly moving mediation on the character's ageless longevity in the style of a true western genre picture with small elements of superhero comic book fare. There's an especially refreshing finality and closed nature that makes the film particularly remarkable.